Relax…these Dickies® Shorts truly have you covered for work or around-the-house jobs. Heavyweight denim is held together with extra-strong triple-stitched seams. The classic 5-pocket style is supplemented with additional tool pockets and hammer loop. And the 11" inseam gives you a shorts-wearing look that's work-ready. All in a comfortable, relaxed fit. 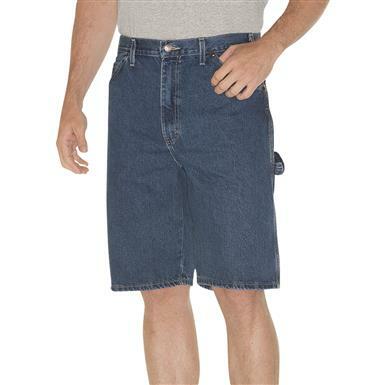 Dickies Mens 11 Relaxed Fit Carpenter Shorts is rated 4.7 out of 5 by 106. Rated 5 out of 5 by Crusher from Carpenter shorts Great product, great price, fast shipping. What more could you want!!!! 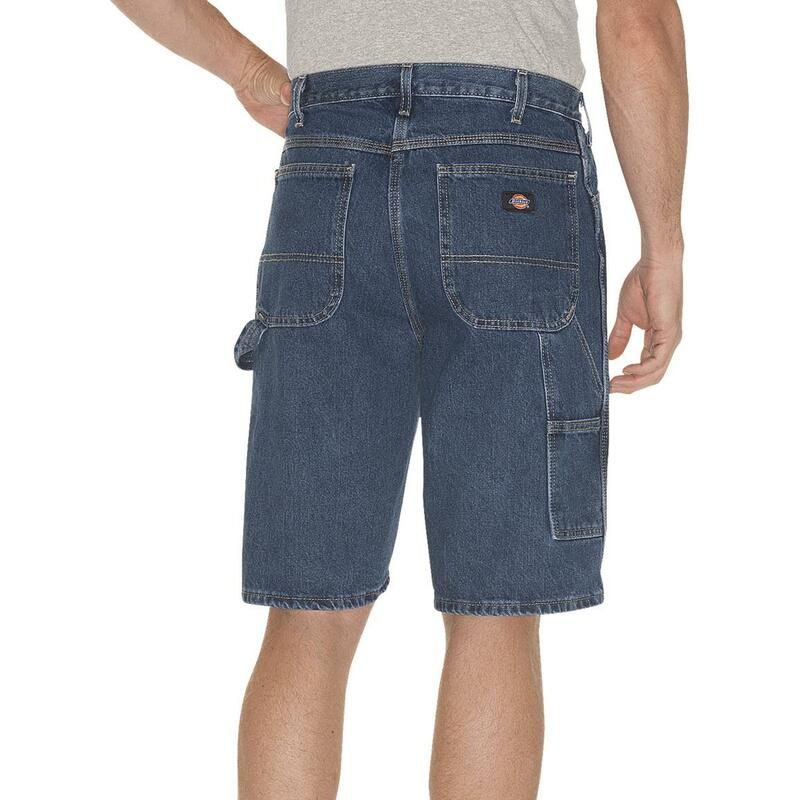 Rated 5 out of 5 by Onceandfuturehippie from Best Carpenter Shorts I have been wearing Dickies Carpenter shorts for years because they are the Toughest & most Comfortable jeans Shorts ever made. I absolutely Love them! Rated 5 out of 5 by Saint728 from Great pair of shorts I use these for everyday wear. They are built to last and are well made. Can't beat the price. Rated 5 out of 5 by Splicer John from Love these shorts! I just love these Dickies carpenter shorts! Very rarely do I wear anything else. Rated 5 out of 5 by jmgargoyle from Room to move... Nice heavyweight relaxed fit denim shorts that give me plenty of room to move around in! Extremely happy with this purchase! Quick-dry design for fun on the water.